IWA is a volunteer-run nonprofit association, bringing people together since 1978. The International Women's Association of Bucharest is an independent, voluntary, charitable, non-profit and apolitical organization. The purpose of IWA is to promote friendship amongst women of all nationalities living in Romania, and to introduce its foreign members to the life and culture of our host country. In addition, IWA raises funds to support such charitable projects and organizations as IWA determines to be sound and worthy recipients of funding. 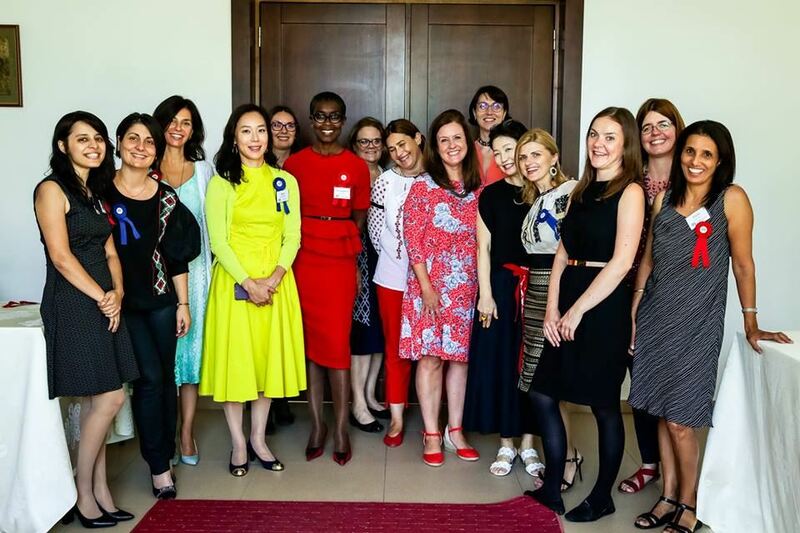 IWA was founded in 1978 by members of the diplomatic community and local women, and became a legal association in 2000.
your English language volunteer-run resource for families. We're so glad you are visiting our website. IWA members are a diverse and dynamic group of people from around the world. We offer a wide range of activities, ranging from monthly coffee mornings, to clubs, lectures, lunches and outings. We enrich our time in Bucharest by learning more about Romania. We share a desire to impact less fortunate communities through our charity grants, funded by a remarkable multicultural Charity Christmas Bazaar in December. We encourage you to attend one of our monthly Newcomer Meet Ups or Coffee Mornings - you are bound to make at least one new friend. There is truly something for everyone here so don't put it off any longer! We look forward to meeting you. IWA is run by volunteers! We thank our 2018-2019 Board of Directors and Executive Team for their hard work and tremendous efforts to support IWA! ... with the helping hands of our community!